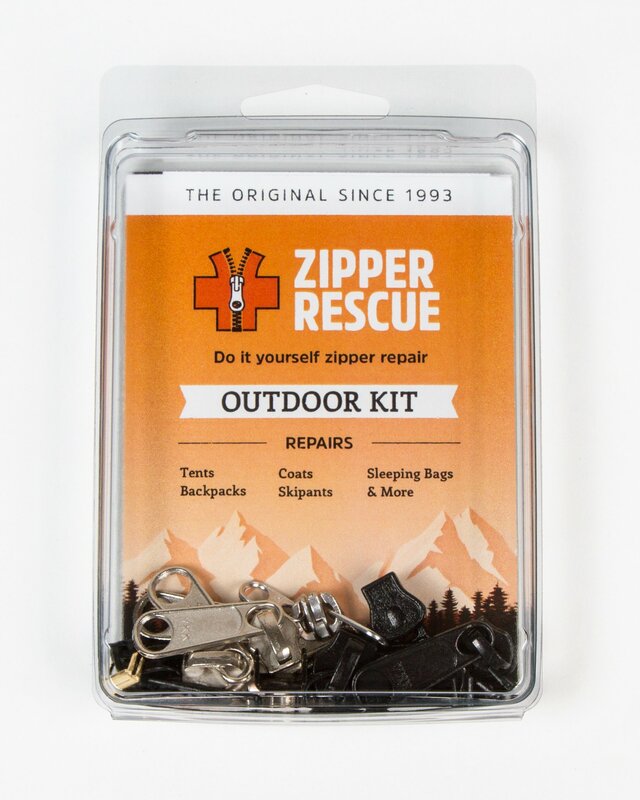 The Outdoor Kit repairs worn out or broken sliders on tents, backpacks, sleeping bags, some jackets, duffle bags, luggage, and a variety of other gear and accessories. 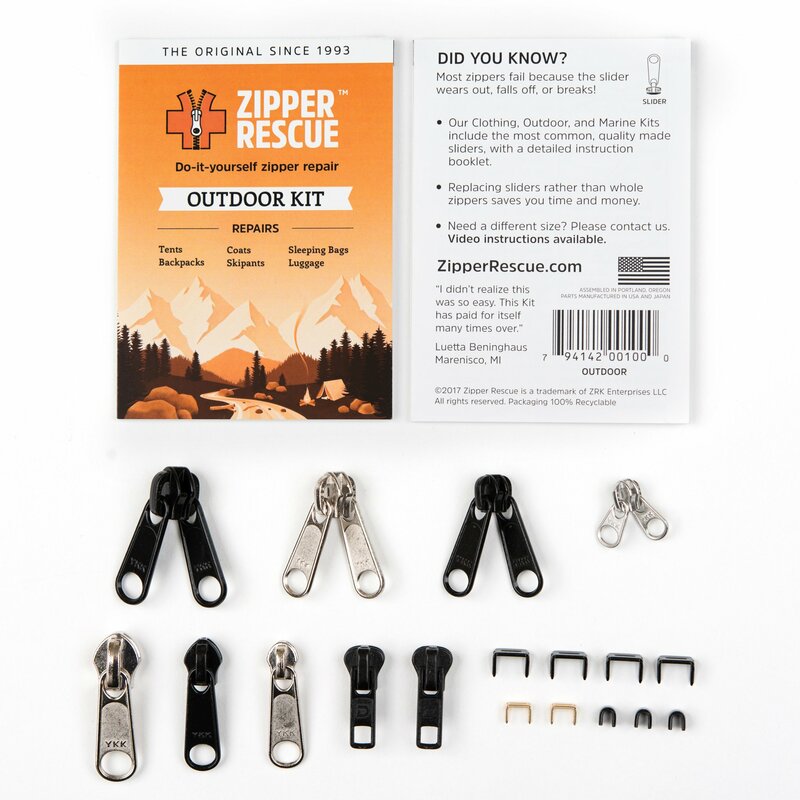 The sliders included are nylon coil type and molded plastic tooth zippers commonly found on outdoor gear. 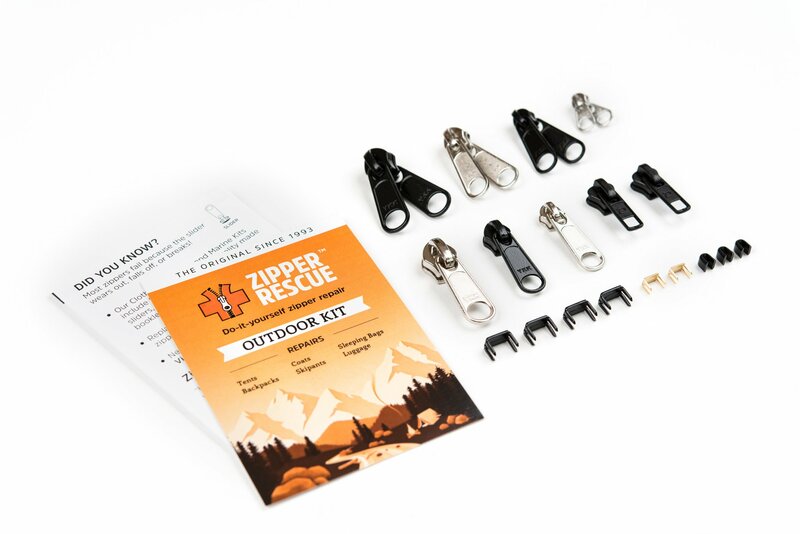 If you are not certain the right parts are in this kit, try our Zipper Wizard! Does not repair “box and pin” at the bottom of a separating zipper (comes apart completely at bottom). 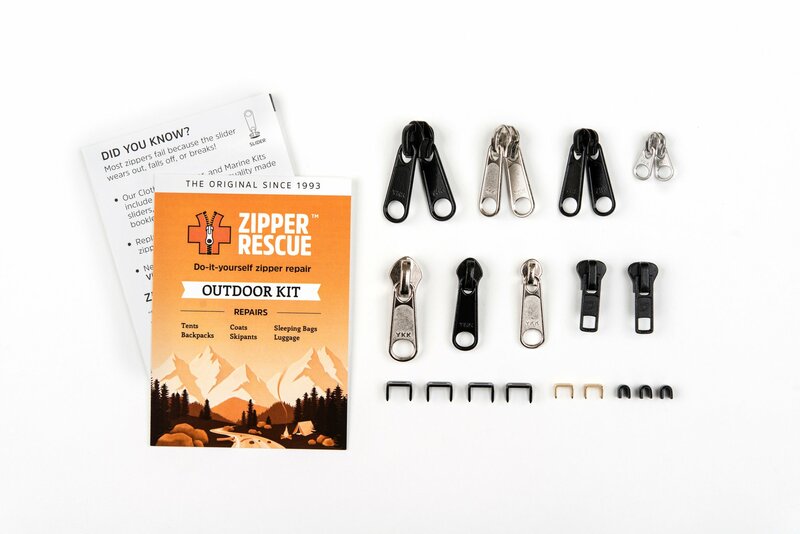 In this case, the entire zipper must be replaced with a sewing machine.